If this recipe had another name it would be “All the warm and fuzzy holiday feelings sauce!” It’s our warming, spiced, boost your immune system winter sauce that’s the perfect combo of sweet and tart. Cranberries, orange, and apples simmered with fresh ginger root, cinnamon and maple syrup will make your home smell so comforting and welcoming. 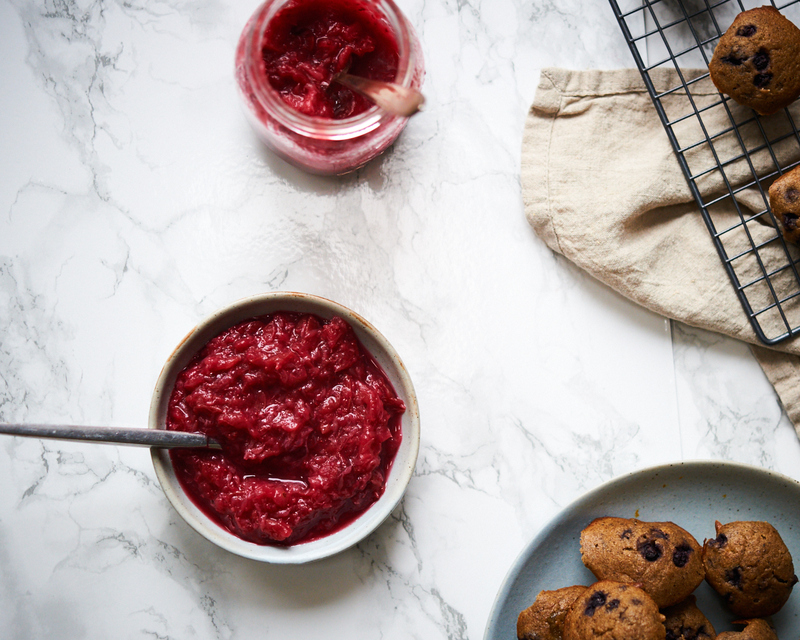 We love eating this sauce with breakfast, as a snack, as a healthy dessert or you can use it in any meal where you would use standard cranberry sauce. 1. Rinse off the cranberries and apple, and peel the orange. 2. Dice the apple and cut the orange roughly in small pieces. 3. Grate or mince the ginger root. 4. Combine the cranberries, apple, orange, ginger root and cinnamon in a pot. Pour in the water. 5. Bring to a boil and then reduce to a simmer. Cover and simmer on low heat for 20-25 minutes, until the fruit is soft and cooked well. 6. Stir in the maple syrup. You can mash the fruit if you prefer that it is smooth.